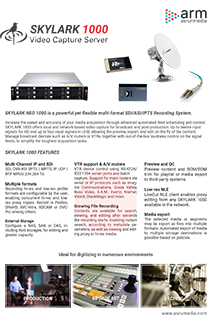 SKYLARK 1000 is a powerful yet flexible multi-format SDI/ASI/IPTS Recording System. It offers local and network-based video capture for broadcast and post-production. From 1 input to up to 8 input HD signals and up to 2 inputs signals in UHD, content can be previewed, exported and edited on-the-fly. Schedule or manual record controlling A/V routers or VTRs, together with out-of-the-box loudness control on the signal feeds. SKYLARK 1000 handles the toughest acquisition tasks while simplifying operations. Increase the speed and accuracy of your media acquisition through advanced automated feed scheduling and control. 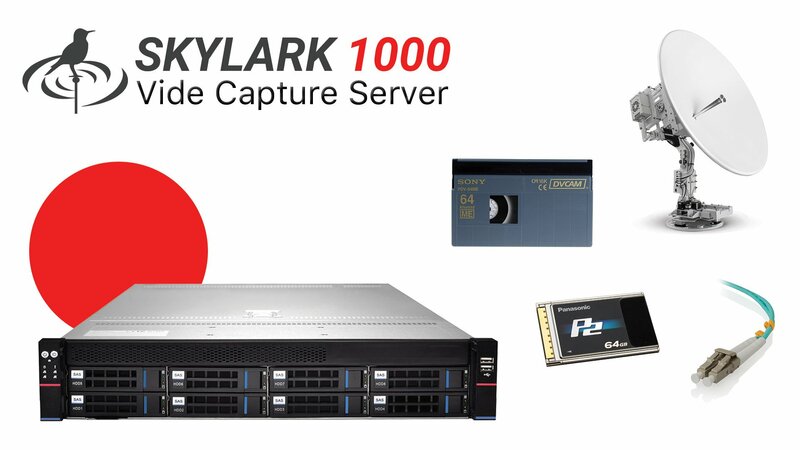 SKYLARK 1000 offers local and network-based video capture for broadcast and post-production. Up to twelve input signals for HD and up to four input signals in UHD, allowing the preview, export, and edit on-the-fly of the content. Manage broadcast devices such as A/V routers or VTRs, together with out-of-the-box loudness control on the signal feeds, to simplify the toughest acquisition tasks. SDI, DVB-ASI SPTS / MPTS, IP UDP / RTP MPEG-2/Н.264 TS. Configure a NAS, SAN or DAS, including Avid storages, for editing and greater capacity. Recording hi-res and low-res profile formats are configurable by the user, enabling concurrent hi-res and low-res proxy copies. Record in ProRes, DNxHD, AVC-Intra, XDCAM or DVCPro among others. VTR device control using RS-422A/IEEE1394 server ports and batch capture. Support for main routers via serial or IP protocols such as Imagine Communications, Grass Valley, Ross Video, S.A.M., Evertz, Kramer, VikinX, BlackMagic and more. Contents are available for search, viewing, and editing after seconds the recording starts. Enabling instant search, according to metadata parameters, as well as viewing and editing proxy or hi-res media. Preview content and SOM/EOM trim for playlist or media export to third-party systems. 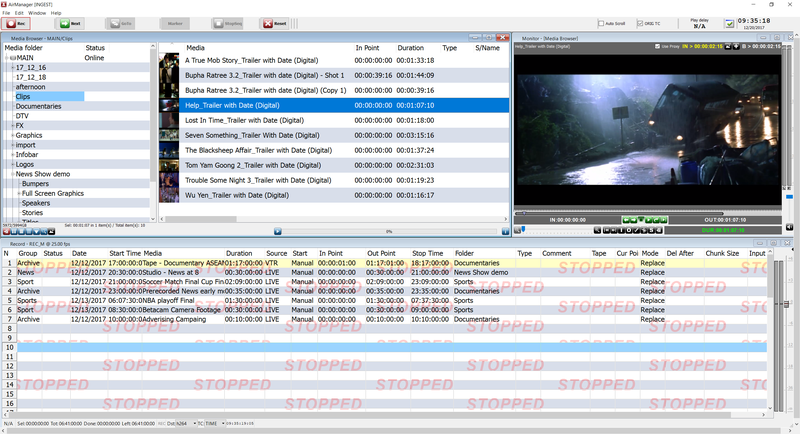 LiveCut NLE client enables proxy editing from any SKYLARK 1000 available in the network. The selected media or segments may be export as files into multiple formats. 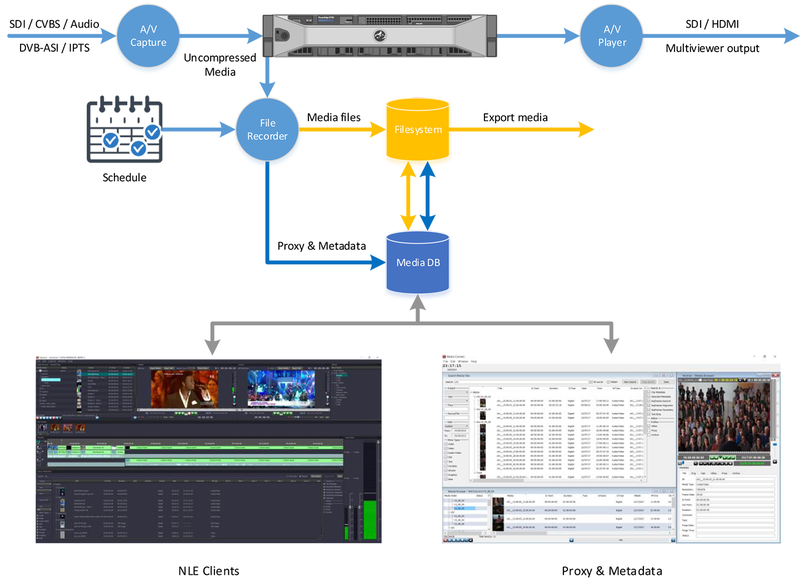 Automated export of media to multiple storage destinations is possible based on policies. 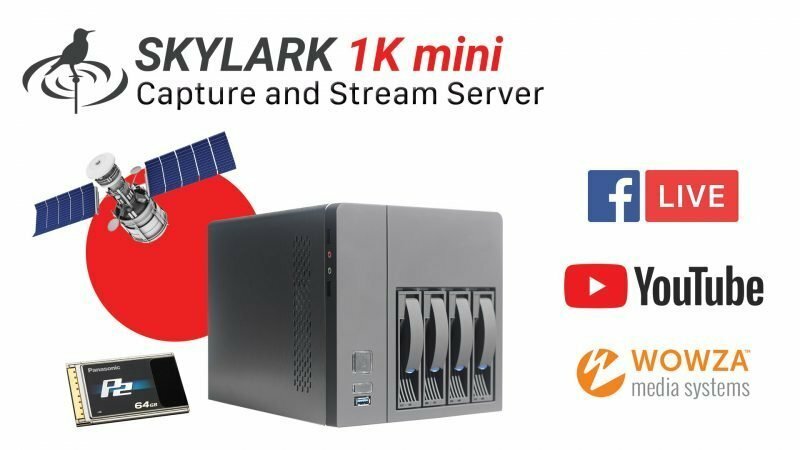 SKYLARK 1K mini is a portable and flexible multi-format recording and streaming system. It offers local and network-based video capture for production and post-production. From 1 input to up to 3 input HD signals, content can be previewed, exported and edited on-the-fly together with a streaming output to YouTube, Facebook, Twitter, Wowza or any RTMP or RTP/UDP distribution platform. Broadcast devices control such as A/V routers or VTRs is also available with RS-232/422/485 interfaces, together with optional loudness control and audio boost on the signal feeds to simplify the toughest acquisition tasks. 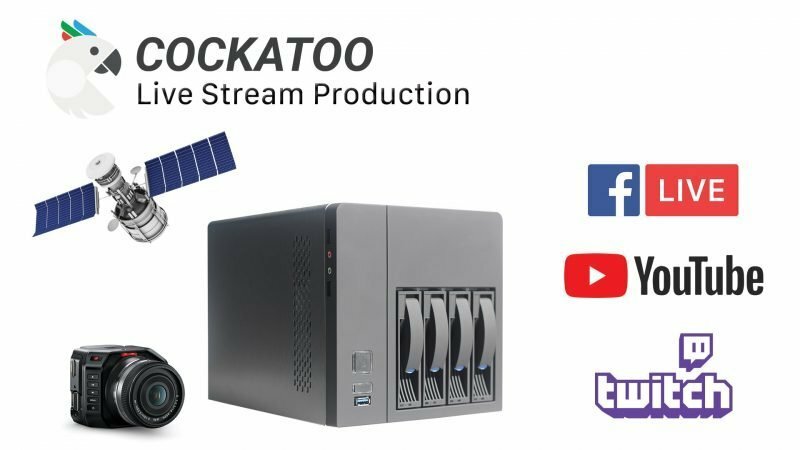 COCKATOO simplifies Live production with recording, streaming and a NAS system in one box. COCKATOO is a portable workstation designed for live production and streaming. With up to four HD-SDI or just one HDMI, you can mix and switch different media sources for live streaming while recording the output on a powerful storage. COCKATOO is ideal for broadcasting professional-looking live internet shows, online gaming, concerts, church services, corporate meetings, lectures and much more.